A clean, well lit room with efficient AC right in the middle of town and on the beach was perfect for the night before getting on a ship. And the price was right. Closest hotel to the beach..across the brick walkway..middle of the stretch of beach 50 ft from the sand...unblemished beach out door..opposite door was on MAIN shops stretch of Front street. Excellent inexpensive full breakfast! Recommend oceanview at all costs. 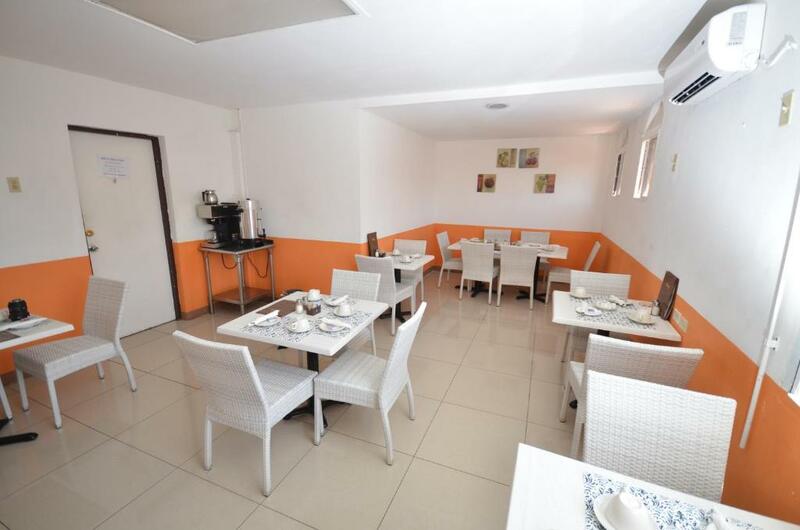 The convenience of being in the town center, within walking distance of shops and restaurants. That it was close to the beach and my room had a great view of it. 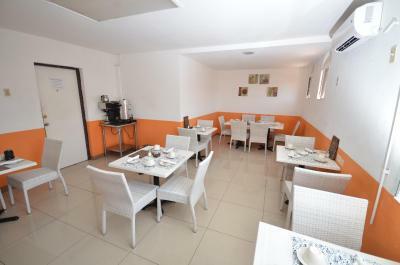 Great location, staff is professional and helpful! The staff was friendly and helpful. The rooms were clean and the beds we're comfortable. The breakfast that could be purchased at an additional cost was reasonably priced and tasty. It is in the centre of town overlooking the beach. Easy access to local buses. Good location on the beach and near the ferry and good bars and restaurants nearby. 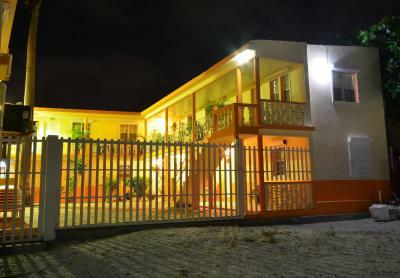 Great location on the boardwalk, walking distance to Bobby's Bay for the ferry to St Barth. 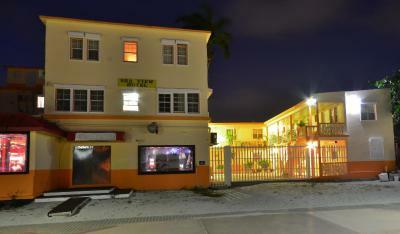 Friendly staff, clean rooms, air conditioned and cable TV. The rooms have a functional decoration and are well illuminated. They also include ironing facilities, cable TV, linens, towels and air conditioning. The private bathroom provides free toiletries and a hairdryer. 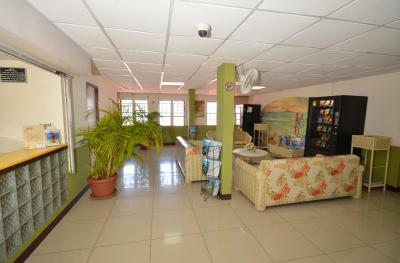 The Sea View Beach Hotel offers room services and has a dining room. Guests can also visit popular Hard Rock Café, which is 250 feet away. 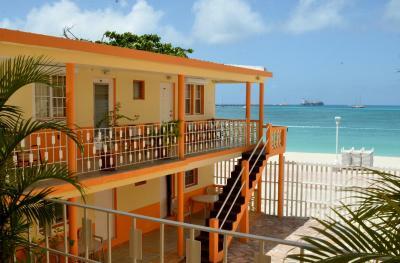 The Rouge et Noir Casino is about 1,950 feet from Sea View Beach Hotel, an central Philipsburg is less than 0.6 mi away. Some popular activities include the casinos, shopping and fine dining. This comfortable room has 2 single beds, private bathroom, and cable TV. This comfortable room has 1 queen-size bed, private bathroom, and cable TV. This comfortable room has one queen-sized bed, a private bathroom, sea views and cable TV. 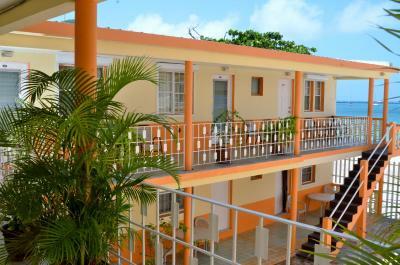 This comfortable room has 2 single beds, a private bathroom, sea views and cable TV. This comfortable room has 3 single beds, a private bathroom, and cable TV. This comfortable room has 4 single beds, a private bathroom, and cable TV. Please note that the safety deposit box rental is of USD 5 per stay. The mini-fridge rental is of USD 5 per stay. Please note that as of January 1st, 2015 the property will be a smoke-free facility. Please note that the property is going through renovation works after hurricane Irma. During this period, guests may experience some noise or light disturbances, and some property facilities and services may not be available. The water pressure wasn’t great but that was a minor inconvenience. Close to the shopping area. Burglar alarm on Street side was very loud and kept going off at random...day and night! Wasn't hotel's fault..jewelry stores all around! Nothing to say. All was great! My stay was magical! Everyone working at the hotel was so friendly, welcoming and kind. They helped my with many things and always with a smile. My happy stay ! Thank you ! Very basic hotel, not many amenities, overpriced for what it offers. The location and the staff friendliness. All of the staff were extremely helpful. Accommodation poor , the whole hotel needs an upgrade excellent location ! The Hotel has more of a guesthouse feel and appearance. The room was facing the hallway, which had lights on all night. The curtains in the room were very thin, which gave the appearance of broad daylight. This spoilt my sleep pattern and I woke up tired. If the lights have to be on all night, then blackout curtains should be put up, or sensor lights used in the hallway. There were no hand towels or wash cloths in the room and just a bar of soap for bathing. A small bottle of shower gel would have been nice. The description of the room included toiletries. Some of the plugs in the room were not working. A choice of herbal teas would have been nice, or just lemons to put in hot water. It would have also been nice to have WiFi in the room, rather than just the lobby. I was very please with hotel because it is in the middle of town which gives customers quick access to the town to be able to do their shopping . The fact that I had to pay for my wifi.